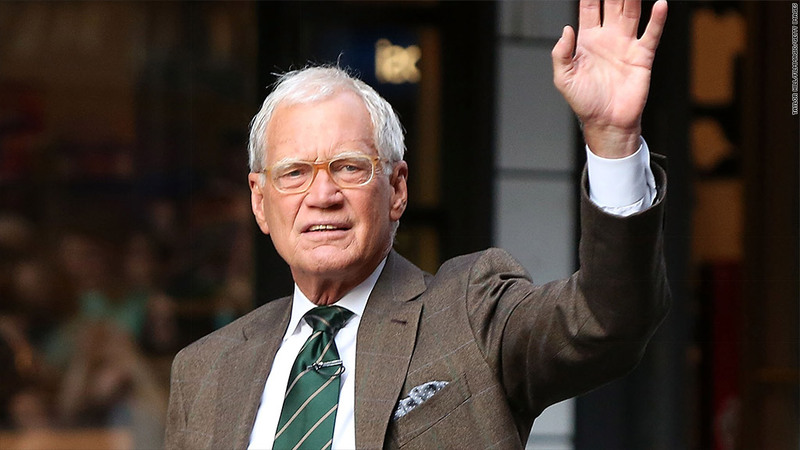 Come Thursday, David Letterman will be gone from late night TV. However, this doesn't mean that Letterman's style will be leaving with him. In an interview with CNNMoney, "Late Show" executive producer Rob Burnett said that of all those in late night TV today, Jimmy Kimmel, the host of ABC's "Jimmy Kimmel Live," reminded him most of Letterman. "I think Jimmy Kimmel is maybe the closest in the model of Dave," said Burnett. Burnett went on to say that he thought that the other late night hosts like Jimmy Fallon of "The Tonight Show" were "wonderful," but are "doing a different type of show." For Burnett, it's Kimmel's comedic sensibilities that remind him most of the departing "Late Show" host. "I think Dave and Jimmy Kimmel are both the kind of guys that sit in the back and make fun of the person in front of the room," Burnett added. "And Jimmy Fallon is the guy in front of the room. Both have value." 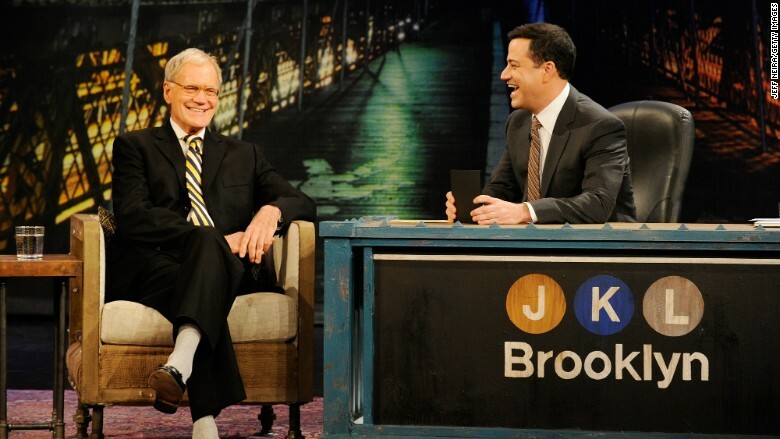 Kimmel's respect and even love for Letterman has been well documented. Speaking with Kimmel at the South by Southwest conference in March, Kimmel said that he was known "as the kid who watched David Letterman" growing up and that he even had a license plate that read "L8 Nite." "I love Dave, and I'm going to miss him," Kimmel said in March. And that love for Letterman was apparent during Kimmel's teary tribute to the "Late Show" host on Tuesday night. 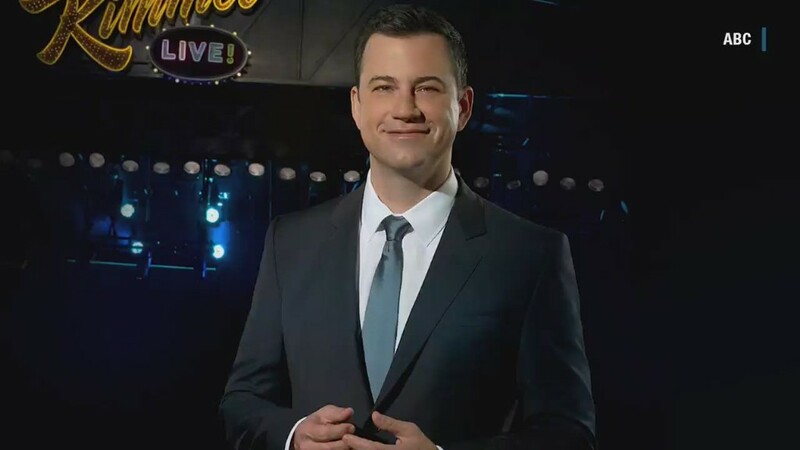 "The reason I have this show is because the executives at ABC saw me when I was a guest on Dave's show and hired me to host this show," Kimmel said getting choked up during his monologue. Kimmel also told viewers that he will be airing a rerun against Letterman's last show on Wednesday and that viewers should tune into the "Late Show" rather than his own. "I would like it if you watched that instead of our show," Kimmel said. "Especially if you're a young person who doesn't understand what all the fuss is about." The host beginning to tear up again added, "Dave is best and you should see him." Wednesday night culminates an era in late night television that we might never see the likes of again. With online and delayed viewing becoming factors in how people watch late night television, viewers may no longer follow the traditional form of tuning in to late night television. It's a form that, according to Burnett, was crafted by "Tonight Show" host Johnny Carson, but tweaked by Letterman. "Those are the two guys," he said. "I think Johnny in large part developed the form and then Dave developed the idea of just taking that form and twisting it 15%."